Despite the fact that radical Islam is far more prevalent than far-right extremism, it’s the later that receives the press coverage while the former is not talked about or downplayed. 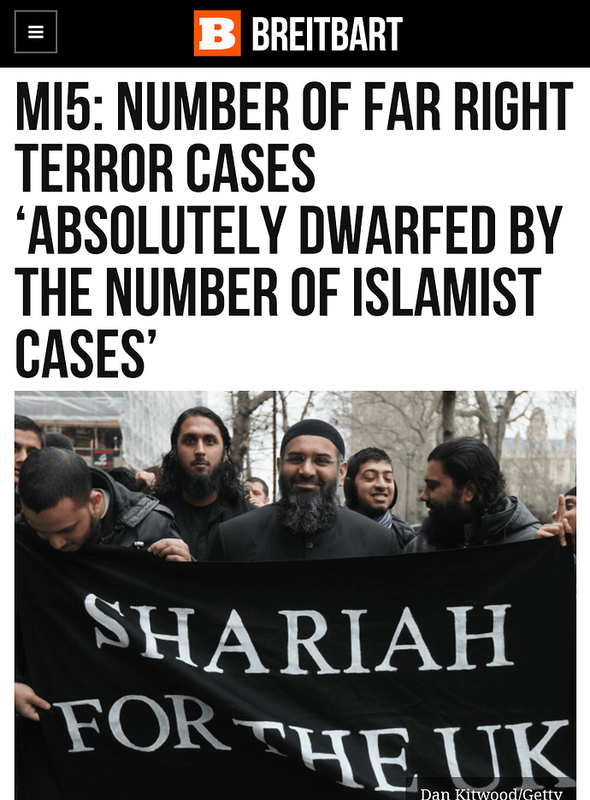 The following quote speaks for itself: " the British authorities have placed a huge degree of emphasis on tackling the far right since even before Christchurch"
Far-right terror cases in the UK are “absolutely dwarfed” by the number of cases related to radical Islam, according to MI5. The ‘News’ that we all knew anyway. But how can we make the dirty Lamestream Media start telling the truth and stop concealing what the terrorists are doing? The police have turned progressive, at least MI5 are still on the correct side - but that will change if the dirty Lamestream Media are not stopped from LYING over and over and over again. That can’t be right. First of all it’s not right to compare the far right with Islamic cases. A fairer and more sensible comparison would be between white citizens and Muslims. Breitbart is a great example of the kind of journalism most of you rightists condemn. By kidnapping and holding hostage the news media outlets! The Anti-Whites are pushing the lie that there is some huge number of Extreme Right, White Supremacist terror attacks that you somehow just never heard about before. It is a Lie. They are Lying. The MI5 story corroborates this data. Nonetheless, leftists need to reeeeeeeeeeeee! My point is that it’s flawed data. It should be a comparison of white crime which far outnumbers crimes committed by Islamics. Demonizing Muslims and the Islamic faith is a bad strategy and that’s why it’s not pursued by government in decent first world countries. It’s a cause that makes enemies and having more enemies is counter-productive. One Muslim person can take the hating to heart and cause immense damage. The 911 attack was an example of America’s crimes against Muslims coming home to roost. Obama worked hard to promote the idea that love for others is the best policy. US might doesn’t make right when dealing with the terrorist (freedom fighter) who has been turned to being America’s enemy. This is of course my opinion as a Canadian. I think you’ll find it also the popular opinion of most of the world’s people too. I am surprised there are not more reprisal attacks to be honest. How many times can Western people experience massacres of their children and loved ones before they say “Enough is enough”. It shows how much more peaceful Westerners are. I agree in part- we should leave the ME immediately. Seal it off from the civilized world, any tickets to the Haj are one way only. Let them kill each other off. 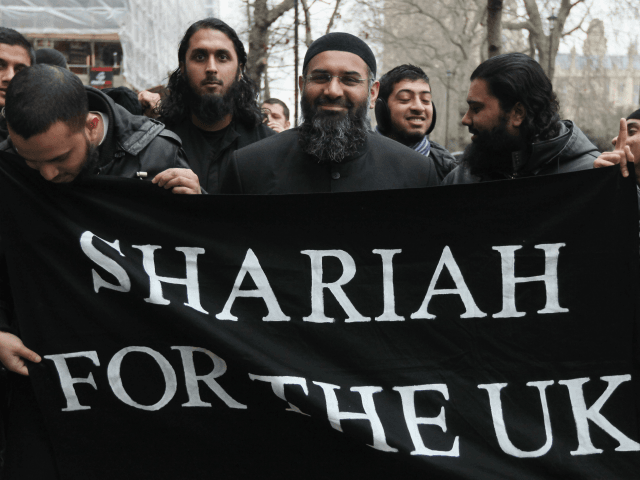 It is part of their culture, of course you feel we’re worse, perhaps, why just the other day I was at a stoning and… oh wait that didn’t happen here. but it does regularly in Islam land. The problem is that we don’t want Russia or China to exert excess influence there, as the Chinese are doing in Africa. I always said, report it all or report nothing. Same with teaching our children about slavery, teach it all or teach nothing. NOTHING MORE DANGEROUS THAN LYING BY OMISSION. ](https://www.thereligionofpeace.com/) -------------------------------------------------------- WARNING: If you begin to peruse this site, be prepared to become emotioally & mentally exhausted trying to digest the insanity. The list ( menu ) on this site that covers the ( reported ) Radical Islamic terror attacks alone, is mind boggling. And yet, the media remains silent. 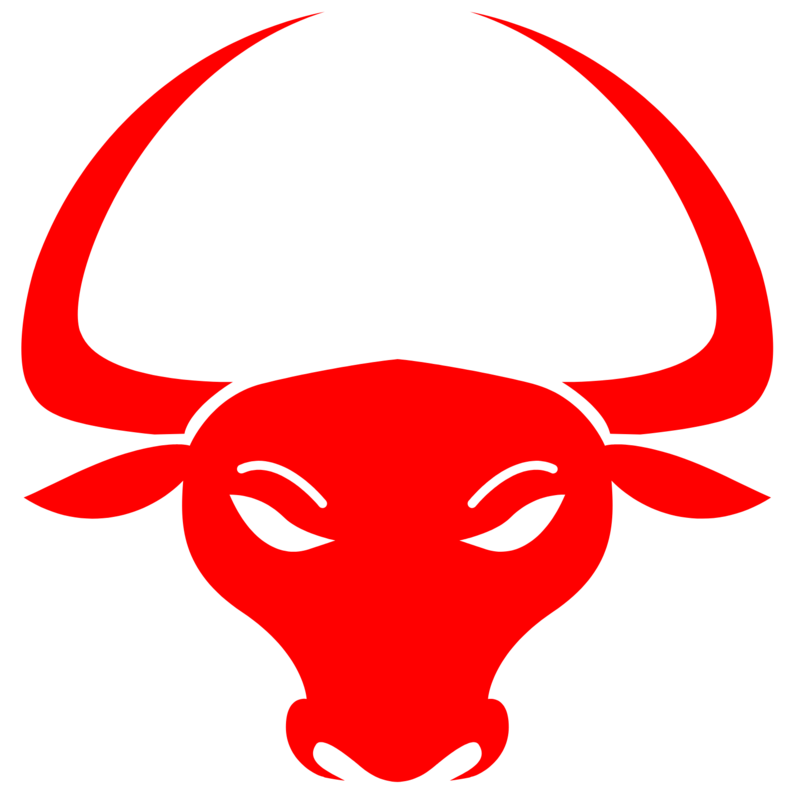 You are a fairly decent example of why Leftist ideology gives some people an excuse when they act up and yet paints others who do the same as proof of the proverbial violence inherent in the system (help, help, I’m being repressed!) should they be white/European or even Christian. The stats are comparing acts of terror … not ordinary crime. And even if they were comparing ordinary crime per capita is a perfectly valid basis for comparison BECAUSE it removes the simplistic analysis of the aggregate that gives real flawed conclusions. 2001 (Post 9/11) ------------------------------------------------------------------------------------------------------------------------------------------------------------------- AND NOW, THE ICING ON THE CAKE: In 2014, the BBC did a thorough analysis of Islamic terror attacks occurring during the month of November. They found 664 attacks and 5,042 deaths. 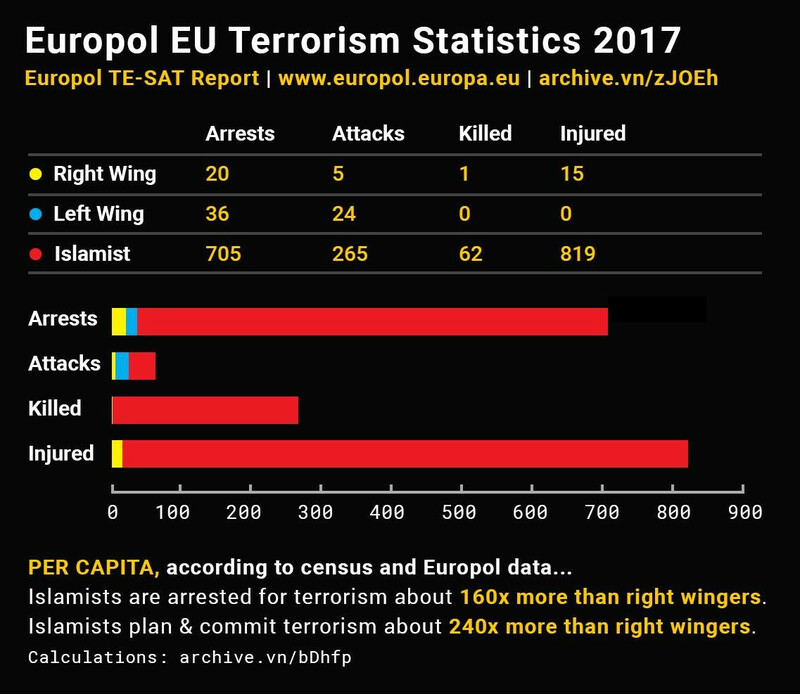 Our list has only 284 attacks and 2,515 deaths for that month, meaning that we under-counted the true extent of Islamic terror by a significant margin. --------------------------------------------------------------------------------------------------------------------------------- But but but, what about New Zealand & the crazy white guy? Now that comment of yours is over the top for stupidity! It’s as if the US’s slaughter of a million Iraqis never happened! That’s right. The US doesn’t want China and Russia to treat them as friends and then become their friends and leave the US out in the cold without access to their oil! Good thinking for a murican! Looks like Venezuela is getting the same idea with their oil! Yeah right, the US will just leave them alone. Riiiigghhhhttttt! Go to DQ and get a few minutes away from whatever it is that’s stressing you. Grab a packet of ketchup and laugh at it whilst you eat you fries with gravy if you have to. Come back when you’ve got a joke to tell us rather than us irritating the crap out of you. Things like that work for me. Tear a little hole in the ketchup thingy and the point it at another customer and squish it! That’s my joke! Hahahahahahaha! It looks just like Canada’s version of a US shooting! Haven’t I already told you zombies that you need to compare crimes committed by Kristyuns against crimes committed by Muslims? The whole comparison with extreme righties is fatally flawed because they don’t admit to being Kristyuns, when they obviously are. Hmmm, I try to avoid personal invective, but I guess you don’t. I didn’t whitewash Iraq, I simply opined that we have wasted enough of our time and energy in that region. Given the population stats, that’s a bit far fetched. Let’s compare crimes against Christians by Muslims against crimes against Muslims by Christians. You would probably find the results are the same. Christians would be labelled as far right.